The Arts Research Dandelion Journal is pleased to announce the release of the New Autumn Issue, b r e a t h i n g.
The following CHASE training opportunities are available to all Arts and Humanities PhD students at Birkbeck, regardless of whether you are funded by CHASE or not. A two-part workshop on writing and giving conference papers which combines an introduction to academic conferences, writing abstracts and preparing presentations, with a practical session on the second day (run as a mock-conference) in which the participants have the opportunity to rehearse the delivery of sample presentations, handle questions and receive feedback. Josie has given this workshop in over 30 universities in the UK, Ireland, Germany, Belgium, the Netherlands, Norway and Sweden. Since its founding in 1946, the Institute of Contemporary Arts (ICA) has presented ground-breaking projects across the arts, situating contemporary culture within the socio-political conditions of the times. As a professional partner of CHASE, the ICA is delighted to offer training and placements to CHASE-funded and affiliated students. This event provides a valuable introduction to the ICA, with a particular focus upon the Institute’s film programme and documentary film festival, Frames of Representation (FoR.) This will be led by Nico Marzano, film programmer and curator at the ICA, who will also be available to answer questions about upcoming placement opportunities working on FoR 2019. Students will have the opportunity to visit Version History, the first solo exhibition in a major UK institution by artists, filmmakers and designers Metahaven, featuring an expansive new moving-image commission as part of an overview of their hybrid investigations into overlapping geopolitical, technological and emotional conditions. More details about the exhibition can be found here. CA is generously offering 20 tickets to attend a film screening in the evening. The tickets will be allocated to the first 20 who register for the introduction. Innovative Audio-Visual Practices – A CHASE Doctoral Training Day. Filmmaking research is a form of practice research that enquires into production practices, techniques, modes and genres used in cinema, television and online. The outputs are films that may include fiction, documentary and hybrid forms. Filmmaking research pushes at the boundaries of traditional filmmaking and traditional research methods by adopting distinct approaches to professional and critical practices. Filmmaking research is a developing area and films produced within the academy are growing in number. There is an increasing engagement with filmmaking as research method and films as outputs, by researchers from a range of disciplines. Film can provide a powerful means to explore issues, disseminate research and create impact. In this event, we will screen examples of innovative audio-visual filmmaking research practice, have presentations by filmmaker-researchers about their work, and hold round tables. This is a full-day event (9:30-20:30) aimed at PhD students doing research in film and screen media. The training offered will be most beneficial to students in the earlier stages of their studies. The event is open to students from all CHASE institutions and is free to attend. November Film Festival is an international festival for experimental film and artists’ moving image run by CHASE students. The screenings will be free to attend and registration for them will be on first come first serve basis through the festival website. On Saturday the 24th at 9pm, there will be a networking dinner event for CHASE students and the visiting filmmakers, for which you can register below. 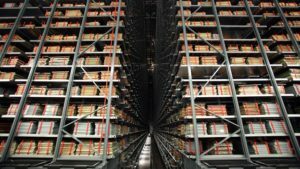 The British Library is again running a series of Open Days for Doctoral Students, running from December 2018 – March 2019. The British Library on April 5, London, England. 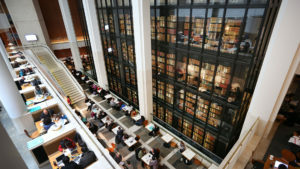 The British Library Doctoral Open Days are a chance for PhD students who are new to the Library to learn how to make the most of the Library’s research materials, get to grips with the practicalities of using the Library and its services, and find out how to navigate their physical and online collections. They are also a great opportunity to meet our expert and friendly staff and other researchers from all disciplines. Each day concentrates on a different aspect of the Library’s collections and most take an inter-disciplinary approach. Students are invited to choose the day they feel is most relevant to their studies. 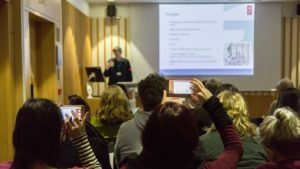 All events take place in the British Library Knowledge Centre at St Pancras, London, except for the event on Wednesday 30 January 2019, which takes place at the Library’s site in Boston Spa, Yorkshire. This event is suitable for researchers of all disciplines and subject areas as speakers will also provide an overarching introduction to the Library that will be of interest to anyone planning to explore our collections for PhD research – whether that is in Yorkshire, in London or online. For further details of the all Open Days and how to book please see the British Library website. Places cost £10.00 including lunch and refreshments. 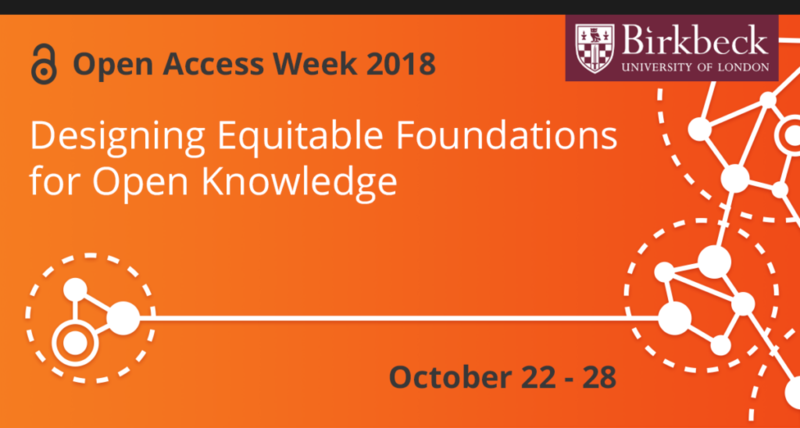 Throughout 22-28 October Birkbeck PhD students are invited to attend events organised by the Birkbeck Library as part of International Open Access Week. We often think about Open Access in relation to publishing and disseminating research, but this session considers how you can use open access resources in your search for information whether that’s to write an essay, complete an assignment or as part of your literature review. This session aims to give an introduction to open access resources as a source of information rather than as a publishing option. 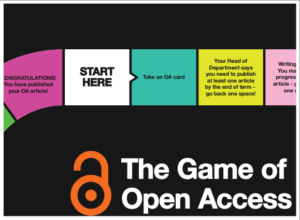 Come and play the Open Access board game to get a better understanding of what Open Access is and how it works. You are welcome as a team of up to 4 people or as an individual to join others. Open Knowledge: process, ethics, possibilities; an International Open Access Week panel of speakers from Birkbeck, SOAS and LSE, brought together by Birkbeck Library. The speakers are drawn from academic, publishing, library and scholarly communications communities, and will investigate the practicalities and ethics of opening up access to knowledge, as well as the potential to widen engagement with research and to experiment with publishing. 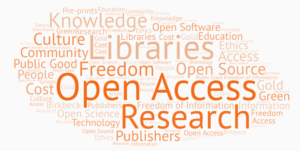 What is Gold Open Access? How does it differ from Green? And where on earth do Diamond and Platinum fit in? We will try to clear up confusion about the range of Open Access options available to you as both a researcher and author. If you are creating data and publishing articles, you may have considered creating a researcher identifier, such as an ORCID iD. ORCID iDs allow you to connect all your published material, back to you. We can also help you create digital object identifiers (DOIs) for your research data. You are welcome to this drop-in session to get a DOI for your data or to create an ORCID iD. Read more about research data management, ORCID and other researcher identifiers. As part of Open Access Week, the Birkbeck Library are looking for your views on the theme above. Would your research or studies be easier? How would this impact the developing world? Do we need to be more radical to achieve this? Are you beginning your 2nd year? The BGRS would like to hear from you! Are you just beginning your 2nd year as a Birkbeck PhD student? As the new 2018/19 academic year begins we hope you are looking forward to diving back in to your research. 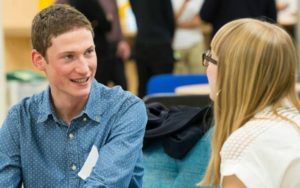 In order to give our new intake of PhD students a better picture of what their first year might entail, we would like to hear from those of you who are just beginning your second year as a doctoral researchers at Birkbeck. We would aim to include your answers in a profile piece on the BGRS blog during the Autumn term. Were there any aspects of beginning your PhD that you found especially challenging and how were you able to overcome this? What are the key achievements or milestones from your first year and how do these fit with your aims for the second year? What role has your supervisor played during your first year? What advice would you give other students who are just beginning as doctoral researchers at Birkbeck or to staff who have responsibilities for supporting or supervising PhD students? What were the highlights of your first year? What are you looking forward to most as you begin your second year? Was there any training or resource that you would particularly recommend to first year PhD students? How well have you been able to balance the work required to begin your PhD with other family, work or other commitments? Those who agree to take part will be invited to share some free tea and coffee in G20 with others who contributed to the piece, later in the term. Please do contact us if you would be willing to share your experiences for this blog piece, or if you have any questions. Author ubcg56bPosted on 5th October 2018 1st November 2018 Categories PhD authored post, Research student experienceLeave a comment on Are you beginning your 2nd year? The BGRS would like to hear from you! The following bulletin is provided by the Bloomsbury Postgraduate Skills Network (BPSN) of which Birkbeck is a member. Our membership of the BPSN provides Birkbeck PhD students with an expanded range of training and development opportunities. There is little doubt that artificial intelligence and automation pose major economic, political and societal implications. Join us for an interdisciplinary workshop featuring six presentations by researchers from a diverse range of backgrounds who will share their thoughts and findings on what these disruptive forces mean for democracy, political preferences, ethics, healthcare, public attitudes and social justice. By attending this workshop you will gain an overview of the process of academic career progression and develop an awareness of the personal qualities, experience and achievements needed to be successful. 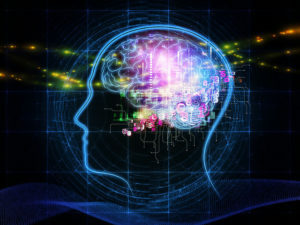 In this module, attendees will become familiar with skills and techniques that will help them involve patients and the public in their research in a meaningful way. These skills can be applied to any field of research. This modules aims to give you the tools and knowledge to complete the PPI section of application forms to increase the likelihood of a successful applications. These skills can be applied to any field of research. To provide digital options for tutors to assess the formative understanding of students following the transfer of information. The session will include and / highlight introductions to some important concepts in negotiation as well as conflict styles and why they matter. Have you ever wondered about the Quantitative (Quant), Finance and Banking industry? If the answer is yes, then come along to this panel session where we will be quizzing a number of PhD holders who work in this industry. This module is focused on finding patients/members of the public to involve in your research, and how to keep them engaged. This forum is run by and for graduate students from the Colleges and Institutes in and around London, working on any cultural aspect of those parts of the world where Germanic or Romance languages are spoken. This course will cover finding the Moodle Quiz creator inside Moodle creating simple surface level learning formative quizzes with instant feedback and developing Question banks. An introduction to MOOCs, training guides, and resources online that can be useful for researchers. This session also looks at offerings from SAS and IMLR on the PORT website. his session will provide an overview of some of the pathways through which you can start to take part in public engagement activity, and the benefits that can be derived from doing so. This workshop will look at all aspects of a reportage-style photo shoot: making the most of shooting real people in real life scenarios. We will discuss the benefits as well as the challenges of using social media when developing a professional online profile and communicating research as a PhD student. Improve your knowledge and understanding of how to write a grant application, and maximise chances of obtaining research project funding. This Bulletin provides course updates for all members of the Bloomsbury Postgraduate Skills Network. City Maps is a series of workshops encouraging doctoral students to explore, discuss and experiment with different ways of conceptualising and studying cities in the arts and humanities. The main learning outcome is to equip participants with knowledge, tools and approaches for expanding their horizons and engaging the urban as an object of study in their own research. In ordinary conversation, we often take cities for granted as distinct and identifiable places. But when the city becomes an object of study, it quickly becomes elusive, layered, interconnected and potentially boundless. A city can be a built environment of myriad structures and infrastructures, its people and their differences, a series of representations or aesthetic impressions, an object of politics or public address, a node for global flows, and many other things besides. Often going hand-in-hand with these disparate aspects of the city are specific disciplinary preferences and domains. Doctoral students taking workshops within this series will be inspired to rise above narrowly disciplinary or highly attenuated orientations to the city. Each session will approach the urban as an inherently trans-, inter- and pluri-disciplinary object, bringing together CHASE expertise and an invited workshop leader, who will collaborate and develop a format appropriate to the workshop’s focus. This might include site-specific presentations, cases studies, reading discussions, screenings, and hands-on workshops. 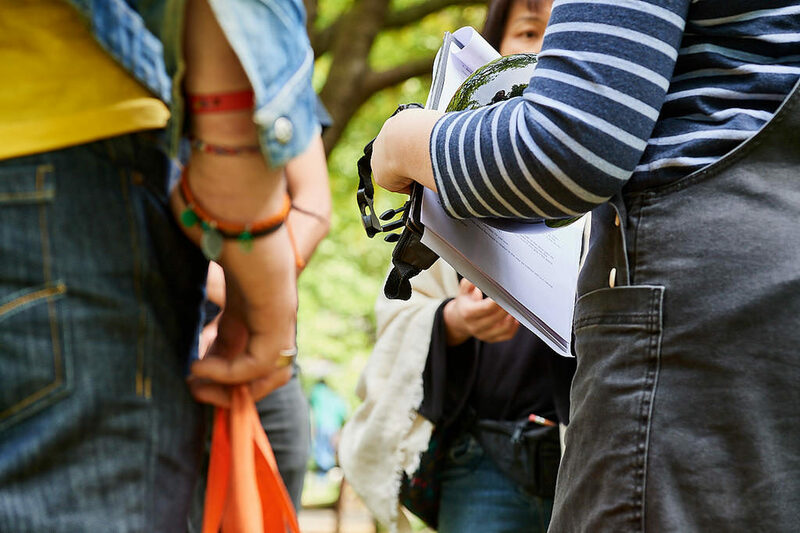 The series will comprise five workshops moving from specific urban research cases to how students might situate themselves and seek publication in what has been termed urban cultural studies. Screen and Film Research Methods Today relaunches the Screen Studies Group annual postgraduate training day. The day has two major goals. The first is to bring together all new film and screen studies doctoral students in London and the environs. It will enable network building around shared specialisms beyond your home department. Second, it will provide foundational training in methods that are relatively new to this field and which home institutions often cannot provide. This is a one-day session presenting research methods for all new and returning doctoral students. We will address a variety of topics that now concern Screen and Film Studies such as online research, dating mining, social media; live television; installation work; music videos, gaming, AvPhDs, production cultures, media industries, creative practice, and live cinema. The day will include a panel on archives now available for under researched or previously excluded cinemas and communities. A series of eight seminars by leading academics, poets, prose writers, script writers and script doctors on structure, narrative and plot in creative work. These seminars will be craft-focused and designed to help writers to plot their work and refine its structure. Prescribed texts are available to download below. The seminar leader will guide us through those texts at the seminar. You will be expected to have read the texts in advance and the seminar will be considerably more helpful if you have. These will be hosted in London and Norwich and are scheduled at 5–7pm on the Wednesdays specified below. Please note the sessions cannot be attended individually and are part of a complete series. A series of six workshops across the year which explore global, transnational and postcolonial pasts by engaging with material collections and texts or objects in museums and exhibition spaces across London. The journeys of objects or the changing shape and use of spaces can offer a powerful means of unpicking, understanding and then conveying meaningfully and compellingly to a range of audiences the processes and legacies of empires. Encountering the objects and spaces proposed in these workshops emphasizes not only the intellectual perspectives of post-colonial theory upon the past, but also brings to light in the most concrete terms those shadows of empire in the present that post-colonial theory was developed to expose and challenge. 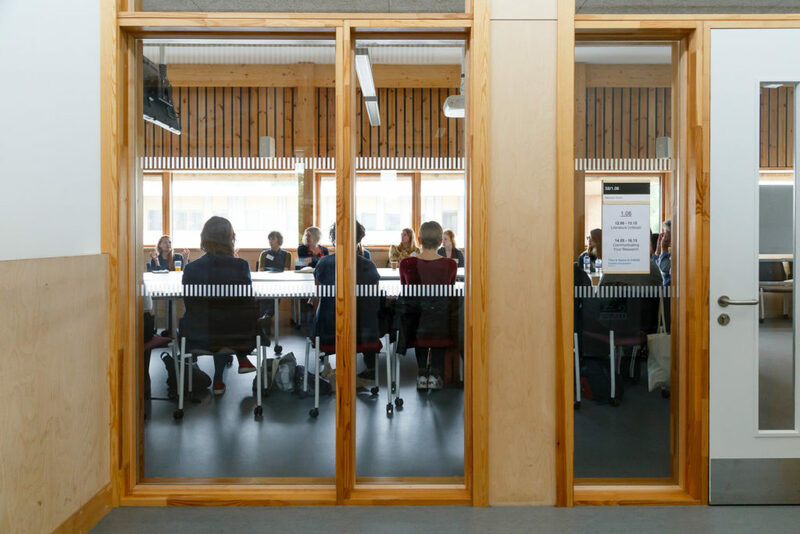 These workshops will include one international conference, four object-based sessions making use of London’s unparalleled collections, and two sessions dedicated to the processes of translating research into different arenas. You will have the chance to examine a range of material and objects in dedicated study sessions with curators and experts, and over the course of the series, you will produce a video, blogpost or other public-facing reflection, drawing on your own research and the materials in these workshops. You will receive training from the Derek Jarman Lab, Birkbeck’s media department, on how to produce an effective media project and have the opportunity to contribute to a podcast with a top broadcaster, as well as present your ideas on the sessions to a non-academic audience. 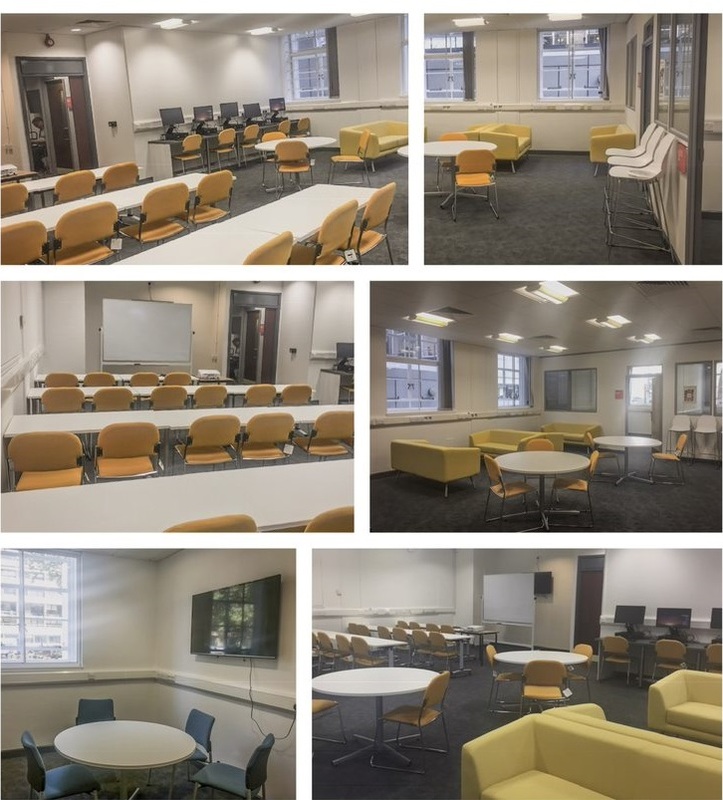 During 2018/19 all Postgraduate Research Students at Birkbeck will have timetabled access to a flexible working space within the Birkbeck Main Building. The room provides space for desk based work for up to 30 people, seminar style events for up to 40 and side offices provide quiet working spaces/ meeting rooms. Further information about this resource is available on the BGRS Moodle site, which provides details of how the space can be used including how Birkbeck postgraduate research students can book the space. Birkbeck PGR students of staff should contact the BGRS if they have any queries about access of usage.